Hi and welcome to TREKKN! 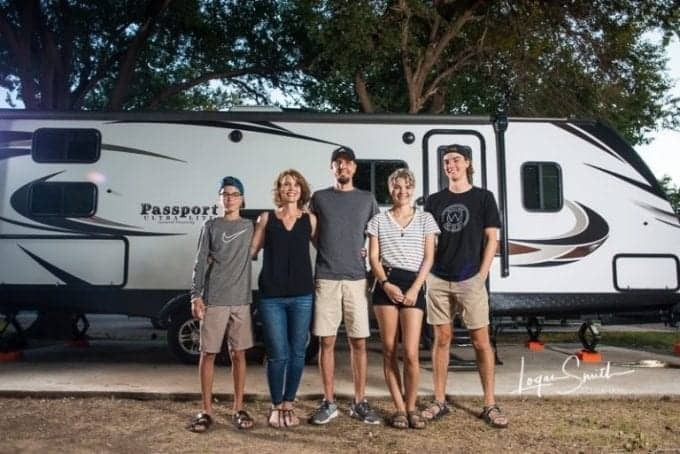 We’re guessing you’re here because you’re either brand new to RVing and don’t have a clue what you’re doing (we get it, this was us) or you’re wanting to get as much information as you can about the full-time RV lifestyle. Or, maybe you fall into both categories. OUR NUMBER ONE GOAL IS TO GIVE YOU THE IDEAS AND TIPS YOU NEED TO RV WITH CONFIDENCE AND CREATE LONG LASTING MEMORIES WITH YOUR FAMILY. We know that RVing as a complete newbie can be overwhelming. We know that putting the pieces in place to hit the road for your full-time RV adventure can also be overwhelming. We are proof that you can go from knowing nothing about RVing to having the most epic, amazing RVing adventures. WE’RE HERE TO HELP YOU RV WITH CONFIDENCE! Hey! We’re Todd and Julie (and kids) and that’s our RV Haully. (Do you get it? Haul…Haully. Ha! We thought it was funny when a friend suggested it.) This 30-foot travel trailer is currently was our home on wheels for 17 months. We traveled to 36 states, 5 Canadian provinces, and 15 US National Parks. It was an epic adventure we’ll always remember. Speaking of National Parks, be sure to sign up to join the TREKKN Tribe (no worries, it’s free) and get yourself entered to win a Free National Parks Annual Pass! You will be automatically eligible to win a pass every month that we conduct a drawing. So don’t miss out on your chance! Where are we now? What are we up to? Are we still traveling? Yes! We’re still traveling and don’t plan on stopping any time soon. Travel has always been important to us and we’ve done what we could to make it an integral part of our lives. We traveled to Europe when we were dating. We traveled and lived in Alaska, New Mexico, California, Georgia, and Texas when Todd was in the Air Force. We moved to Colorado on a whim and then to Texas, also on a whim. We’ve taken our kids to Colorado and California on vacations. Our two oldest kids went to Honduras. But we wanted more. We needed more. It was time to shake our lives up a bit and do something out of the ordinary. Since we both worked from home, we could take our jobs with us and work anywhere. One day Julie was trying to come up with a way that we could travel more. Flying and paying for hotels and meals and all that jazz adds up quickly. We could only afford to do that once a year. And then she heard about people traveling full-time via RV. That’s when a bell went off in her head. We could do the same thing. So we did. Go take a look at the story of our 100-day transition from initial idea to hitting the road full-time in our RV. That 17 months of full-time travel taught us so much about ourselves, our world and the amazing people in it. It also fueled our desire to continue to travel, as well as share what we’ve learned with others. TREKKN is where we’ll share our RVing travel experiences with you while giving you the tips & tricks you need to be prepared to hit the road. We’ll also give you tips on what kinds of outdoor adventures to do in the destinations you’re hoping and planning to visit. 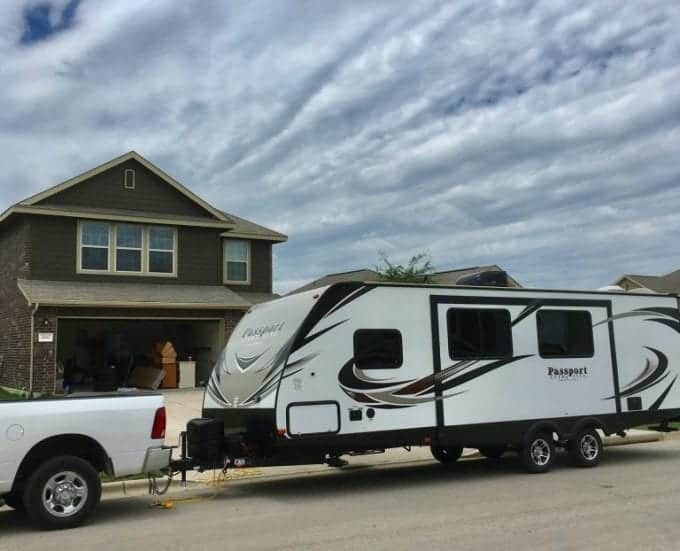 RV Travel & RV Living: We knew absolutely nothing when we moved into our RV on May 26, 2017. Nothing. But we’ve come a long way baby! 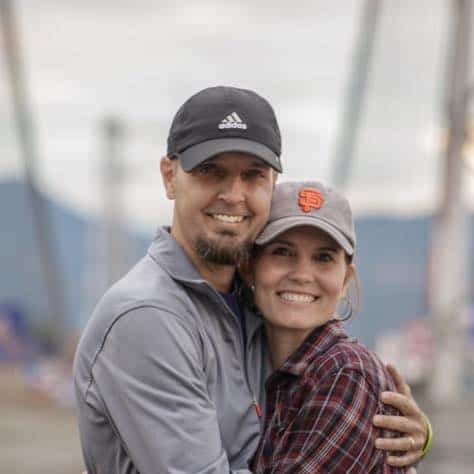 We’ll share everything from RV set up tips like Todd’s favorite RV accessories to RV parks we fell in love with. Destination: Tips and ideas from the places we’ve traveled to or hope to travel to soon. We want to help make your vacation or weekend getaway as enjoyable as possible. We do quite a bit of research before we go somewhere and then get out and experience the places and activities. We’ll share our personal tips and tricks with you. Outdoor Adventures: We realized after traveling full-time for 17 months, that our absolute favorite things to do are outside. From hiking to sailing to ziplining to more hiking and kayaking…these are the times we feel most alive. There’s something about accomplishing a long hike or experiencing an adrenaline rush while you’re zipping through the trees that bond you with the people you’re with. So whether you’re an outdoor adventure junkie or you’re wanting to introduce your family to some outdoor adventures (and just how fun they can actually be! ), we’ll share adventures for all levels. We’re looking forward to playing a part in making memories with those you love!